As usual, I'm excited about this next feature! 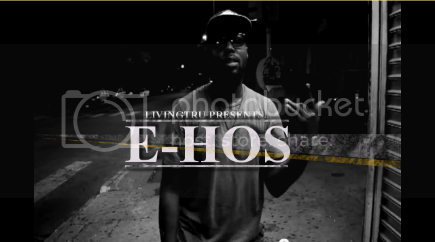 It's been a long time coming, but I have Hip-Hop Artist E-Hos here at LivingTru.com! Hailing from West Philly and no stranger to the music game, E-Hos is currently working on a new EP and has recently released a new music video for a hot track entitled "Underestimated." You guys are definitely in for a treat! You know what to do! Hit that "Read More" button to check out my One-On-1 interview with E-Hos! Thank you so much for speaking with me E-Hos! I'm so excited to have you here finally! Lol. Thank you very much for having me. I’m the one that should be thankful haha, but really it’s my pleasure. No problem at all! So let's get to it! Tell me how you got started in music, and what inspired your decision to pursue it. To be honest, like many, I’ve had an interest in music since I was born. My mother’s constant playing of all types of music was definitely my biggest inspiration to do music. I started doing music way back in like 3rd grade. I was playing the viola and singing in the choir. I took interest in Hip-Hop about a year or two later after seeing my first Rap video. Funny story, I was assigned a project by my 5th grade Science teacher to write a poem or some sort of creative presentation about vascular plants. I thought, this is my big break, so I broke out the boombox with a built-in microphone to record, a blank cassette tape, and my mom’s CD player where I was able to play an instrumental CD. I then recorded my very first Rap song about vascular plants. I still think I have the recorded song lying somewhere around my house. Someone’s gonna find it and use it to blackmail my career one day haha. Haha, I hope so! I personally would love to hear that, lol. So, your mom was obviously very influential in your decision to pursue this business... who are some of your other influences as far as music and life as well? Aside from my family, I would say that Will Smith is probably one of my biggest inspirations and influences me the most. Being that we’re both from the West Philadelphia area and his style is so authentic and gracious. Dude is undeniable from the big screen to the music studio. I have mad love for Will Smith, and I would definitely love to meet him one day. Even if I couldn’t get a business opportunity from him, I would just love to sit down and have a conversation with him. His philosophies on life are just so inspiring and empowering. Agreed. He's very eloquent and intelligent, and definitely a good example for the younger generation. Not to mention that all of his music was profanity free, and age appropriate for all, something that doesn't really apply to a lot of today's music. Speaking of which, how do you feel about the current state of the music industry? I believe the current state of the music industry has so much potential. Unfortunately, many artists are stuck trying to find themselves so they end up being something they’re not. It’s very sad because creativity in everything from subject matter, beat selection and even inflections in voices are becoming very mundane. Almost every new artist sounds like the other new artist that came out last week. Everybody’s afraid to take that leap. That's so true, and it's a shame because there really is so much potential in today's artists. Creativity and story-telling is what makes music fun and it allows the listener to relate to the artist by knowing their story. Fortunately for me, I did find that in your music. I absolutely love your new song "Underestimated" I feel like I got to know you a little better through that. So, what exactly do you want your music to do for others? I want people to jump around. I want people to cry. I want people to laugh. I want people to hate it. And I want people to do those same exact things 20-30 years from now. I want to get people through their deepest and darkest times in life, as well as get them through rush hour traffic on a Friday, haha. Haha! I think it does and it will in the future. While we're talking about it, what upcoming projects are you working on right now? Right now, I’m currently working on an EP album with Patrick Donovan, one of the best singers I’ve ever heard. I’m also working on a new solo album produced by one of the best producers in the Philadelphia area, AO. Both projects will be very innovative musically. I plan to utilize instruments that most hip-hop artists seem to neglect. Dope! I can't wait! I actually interviewed Patrick Donovan a couple months back, I love his voice as well. Now, I imagine that you're starting to get a lot of recognition for your music, and we all know what comes with the territory. Lots of fans, haters, tons of new people in your life. How do you keep yourself grounded? Family. Friends are included in that term “family” to me. But that’s it, family. Also, the simple fact that anything that you are given in life can be snatched away twice as fast. Very true, so I take it you either believe in karma, or you have some kind of religious background. Do you believe in God? Firm believer in God…I believe God lives through my family, therefore God is a primary factor and motivator for me to strive in any and everything that I do. Awesome! Let's get off the music for a minute, I always like to ask questions about the current state of things in our society and how we as role models can make a difference. So throughout your lifetime what changes do you hope to see? The overall decline in hatred. Also an increase in individuality. I want to see people in society treat each other more genuine. The honor and integrity system is almost extinct in this day and age. I totally agree with that! That's a big change, and it's one that every individual will have choose to make. If you had the power to make big changes in society, what would you do to produce a positive change? Give every active unemployed struggling individual a job, pay the loans for every student who was succeeding academically in college but was released because they could no longer afford to pay tuition, thus, leaving them with no degree and outstanding loans. Of course world peace and good health tops my list as well, but I’m sure that’s on a lot of people’s lists. That would be dope lol! I think you're right, a lot of people would do the same things. And we definitely need to get it together in terms of education. So, as you know LivingTru is all about the power of positive energy. What is positive energy to you? To me, positive energy is the ability to always keep focus on the optimistic aspects of life, living life to the fullest,and always smiling. Another important aspect of positive energy is knowing how to keep your pride in check and understanding that pride belongs at your side, not leading you. 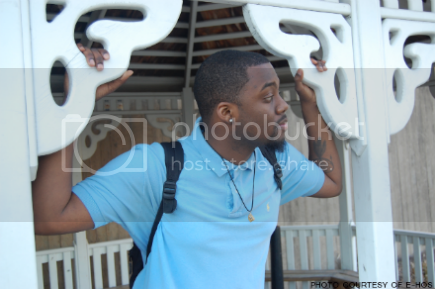 I utilize positive energy by trying to have a positive impact on any and everyone that I come across in life. Helping an older woman with her bags may mean nothing to me, but could touch her positively for a long time to come. One positive act by me could change her entire outlook on young men in general, and that means a lot. That's awesome and definitely the best answer I've heard to that question! I've really enjoyed speaking with you, and I'm not going to keep you much longer. I just have one more question. What advice would you give to someone trying to make it in the music industry, or any other field of their choice? I would tell any artist to stay true and persistent: Take the proper time to improve your craft on a daily basis: Take twice as much time promoting yourself: Believe in whatever you’re doing, and utilize all of the technology and outlets that are available today. Anybody can be heard, so make what you have to say count. Once again, I totally agree! Thank you so much for speaking with me E-Hos, this has been a very inspirational interview and I know people will be able to take a lot from it! Thank you very much for having me…it has been my pleasure. Please continue doing what you’re doing with this blog. It’s a wonderful thing, seriously. Thanks so much! Check out the video for "Let It Go" featuring Patrick Donovan! And don't forget to connect with E-Hos on all of his social networks!